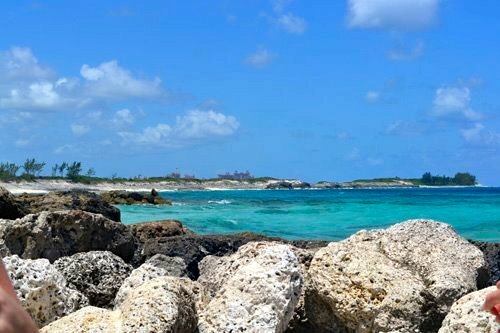 Steve & Cyndi, avid traveling friends of mine were fortunate enough to capture a bit of this paradise out in Nassau, Bahamas & lucky for you they’ve been so kind as to let me feature some of their best photos in this nifty little photo essay! 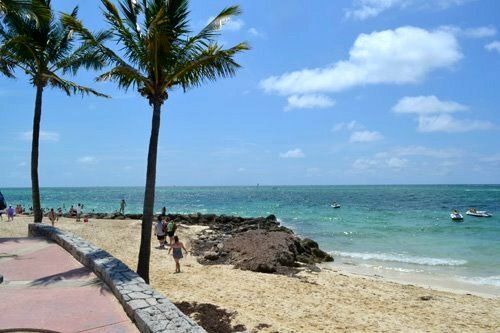 Enjoy this Piece of Paradise & Welcome to the Bahamas! 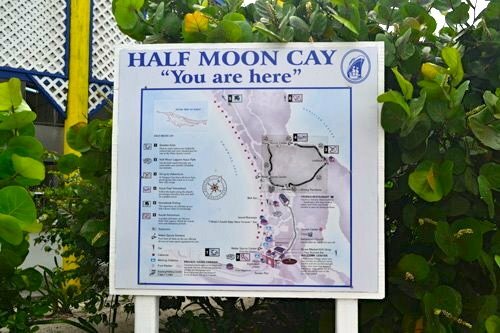 Welcome to the exotic & tropical beaches of Half Moon Cay! 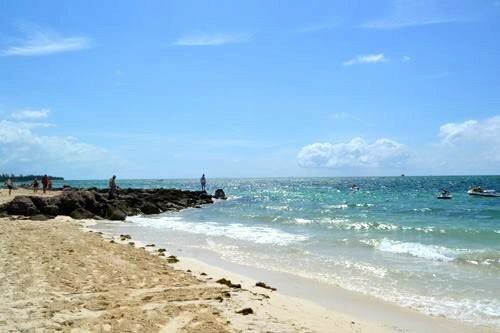 One of the many sugary beaches found on the island! 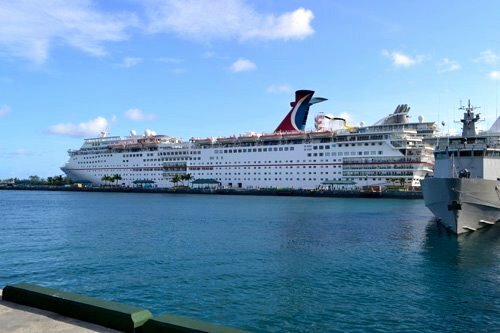 The Carnival Cruise ship tendering in from the Atlantic Ocean. Jet ski’s can be quite a popular sport in these warm tropical waters. 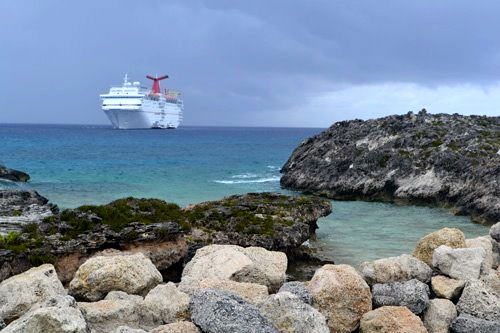 This rock wall provides a nice view of the cay. Dolphins! 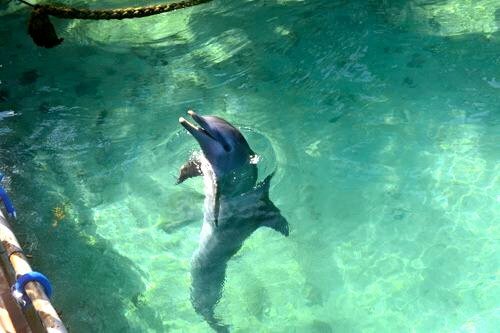 Who doesn’t love dolphins!?! 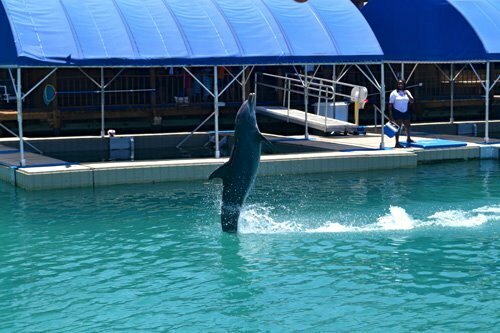 A dolphin who know’s ballerina…wonderful! 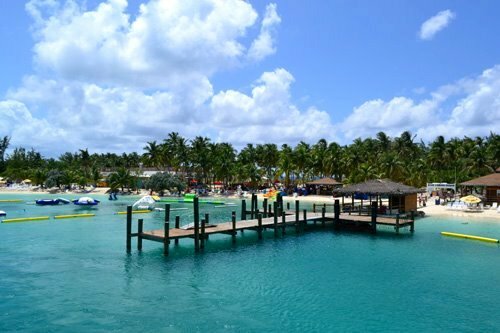 View of the dock & resort overlooking the crystal blue waters. 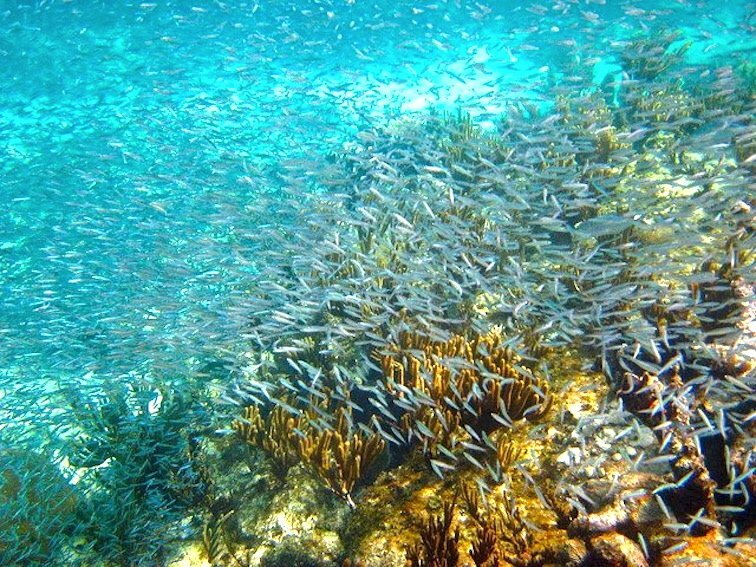 What a spectacular school of fish! How many do you think there are? 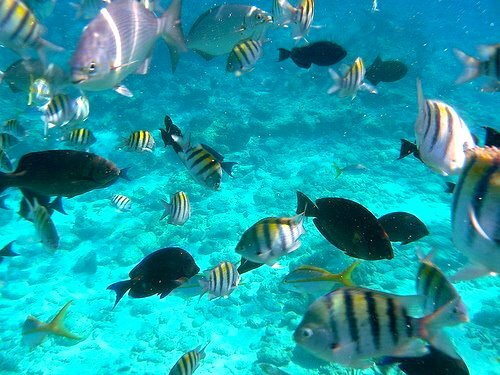 There is a great variety of marine life in the Bahamas! 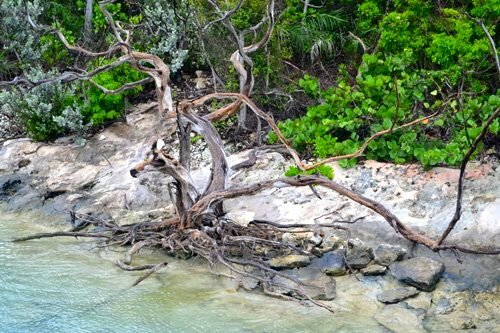 Now that’s some wicked gnarly driftwood. Any guess on what kind of plant it’s from? Sitting at port it’s time to call it a day… until next time! Have you ever been to the Bahamas?